Are you building an extension in your Glasgow home? Perhaps converting your attic to a bedroom or office? 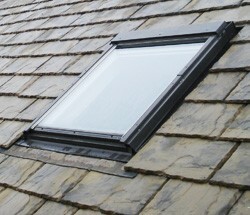 Whatever the reason, if you want a skylight installed, we are the way to go. We've got plenty of experience under our belts, so we're your local roofing experts. You can rely on our roofers to deliver the best results every time. ... but keep the rain out! Your Glasgow home deserves the best, so for a faultless installation from a company you can trust, call us now. A free quote for the cost of your new Velux windows is just a call away. Phone us on 0141 340 9604, and you'll be pleasantly surprised how little our excellent installation services cost and how quickly you can have your Velux windows! We're available to install roof windows in Glasgow whenever you want them so get in touch for a free estimate.